Windows don’t only open our abodes to light and views but also act as decorations. They serve as focal points in the room and allow us to express our style through window treatments. Unfortunately, some rooms simply have no windows. Located in the depth of a house they might be quiet and peacefull, which is perfect for sleeping but having no natural light or views of the outdoors can make them quite dull. Still there are ways of making such bedrooms both beautiful and comfortable. 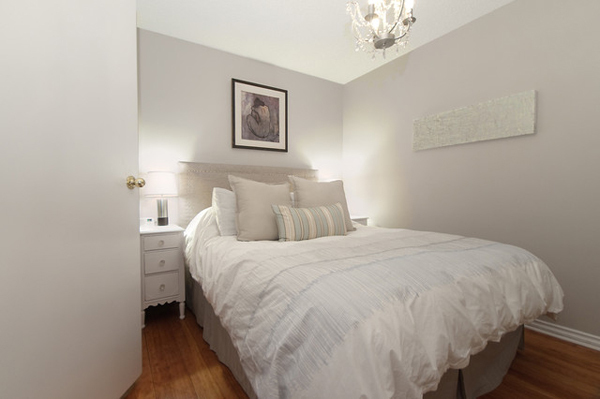 Since there is so little light in such enclosed bedrooms think of the ways to enhance lighting in the room. General lighting can be too obvious so the ambient lighting can be the way to go. You can install it into the wall panel or the ceiling to create a strip of light that can be similar to natural lighting in color. 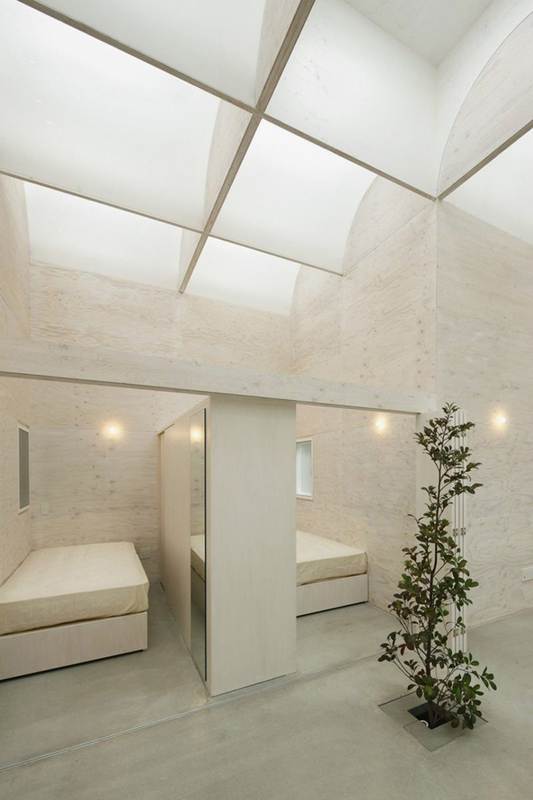 The result is as if the wall panel is actually a covered window with only a strip of light seeping into the room. Adam Frank created a great type of ambient lighting called Reveal that can transform a windowless room. 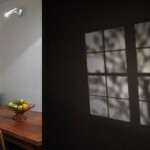 A seemingly simple light projects an image of a window and a tree onto the wall. A $280 light comes with different slides that portray arched, mosaic, shutter windows and different trees including palm and ivy. Without a window you will have to create or find another focal point in the room. It can be a fireplace, an artwork, or even a statement headboard. If your bedroom is windowless and small it can look quite depressing. Add a big mirror to the room to make it feel more spacious. Other relflective surfaces can also help to enhace your bedroom. Finally, if you can’t have a window, it doesn’t mean you cannot have a skylight right above your bed. It’s a perfect solution for those who cannot wake up without natural light as well as those who love to admire the stars. Windowless bedrooms can be quite a challenge in terms of design as the windows provide light and act as architectural details in the interior. These ideas might just bring a little of it back to a windowless room. What do you think?